Attendees should park in the Tower Parking Garage (across Lofland Blvd.) which is adjacent to the main hospital entrance. ATD chapter attendees will need to grab a ticket and will not be charged for self-parking. Exit the parking garage and head towards the main sliding doors entrance. Parking fee will be waived upon exiting the garage. It’s an uncomfortable scenario that erodes trust and confidence between the business and talent development teams. 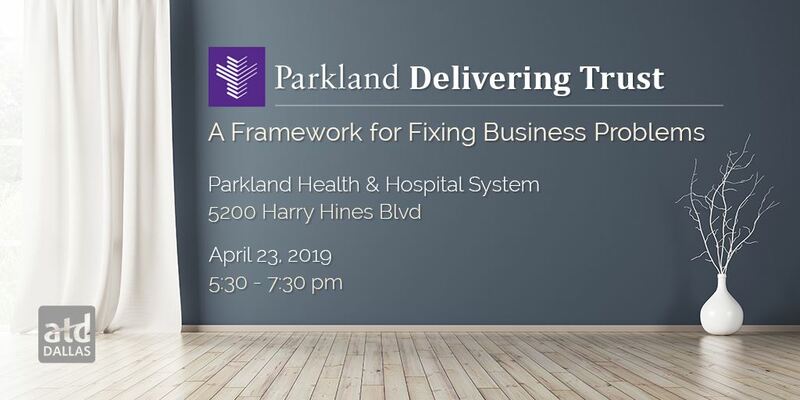 Parkland has a solution for this that you don’t want to miss: a four-point framework based on the Aims Grid by Coverdale integrated into all of its business units that identifies the problem and unearths the best solution. The framework is simple. It’s powerful. It yields results that impact the business. Best of all, Parkland Academy is viewed as a partner by business owners, because Learning and Development has earned their trust. Attendees should park in the Tower Parking Garage (across Lofland Blvd.) which is adjacent to the main hospital entrance. ATD chapter attendees will not be charged for self-parking. Exit the parking garage and head towards the main sliding doors entrance. ATD Dallas is recognized by SHRM to offer SHRM-CP or SHRM-SCP professional development credits (PDCs). This program is valid for 1 PDC. For more information about certification or recertification, please visit shrmcertification.org.